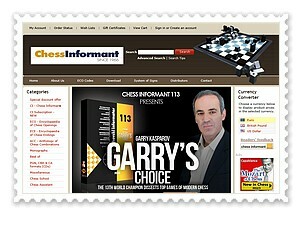 Yes, it's going to be the World Chess Champion visiting Silicon Valley! Magnus Carlsen took the world by storm as a child prodigy, becoming an international Grand Master at 13. At 19, he was the youngest chess player to be ranked number one in the world, and at 22, in November 2013, he defeated five-time former world champion Viswanathan Anand. 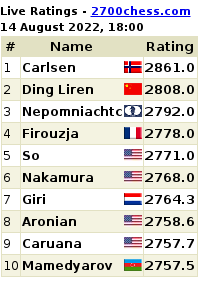 Now, at age 23, Magnus holds a record rating of 2872. Don’t miss this chance of a lifetime to meet and be inspired by Magnus. He will be interviewed by entrepreneur and investor Peter Thiel, former US-rated Chess Master with a lifelong passion for chess. Topics covered will include Magnus’ views on the game, his experience winning the championship, and the role he believes chess can play in advancing young people’s critical thinking, social skills, and ability to achieve academically. Prior to the onstage program, Magnus will play—blindfolded—in a six-board simultaneous chess demonstration. Participate in a drawing benefiting First Move, a dynamic non-profit organization that brings chess to second and third graders across the country—and possibly become one of the six brave players if you dare! ATTENTION CORPORATE MEMBERS!Corporate passes will be accepted for this event. We ask that if you register using corporate passes, please do so 72 business hours in advance. We thank you for your cooperation! *Membership price discounts will be applied based upon membership status of registrants. For purchasing tickets and more details visit the website of Churchill Club. Igniting Conversations to Encourage Innovation and Economic GrowthThis is our focus: to cultivate a one-stop-shop of world-class people—people like yourself—that ignites the kinds of conversations that lead to new ideas, enlivened dreams and personal motivation. A tall order, for sure, but one we’ve been successful at for 25 years. Over the past two-and-a-half decades, the Churchill Club has hosted industry and government leaders and luminaries such as Marc Andreessen, Steve Ballmer, Craig Barrett, Ursula Burns, John Chambers, Jim Clark, Bill Clinton, Larry Ellison, Bill Gates, Andy Grove, William Hewlett, Arianna Huffington, Bill Joy, Dean Kamen, John McCain, Scott McNealy, Lew Platt, Eric Schmidt, and many more. It’s an impressive list, but it would be no more than a roster if we weren’t committed to the idea of an independent forum that facilitates the open and timely exchange of ideas, opinions and viewpoints among business leaders and innovators. At the Churchill Club, collaborators and competitors meet on stage to share and discuss their newest thinking. They commit to have unscripted conversations that go beyond the hype. Attendees have the opportunity to ask questions directly of speakers, uncensored by the moderator.